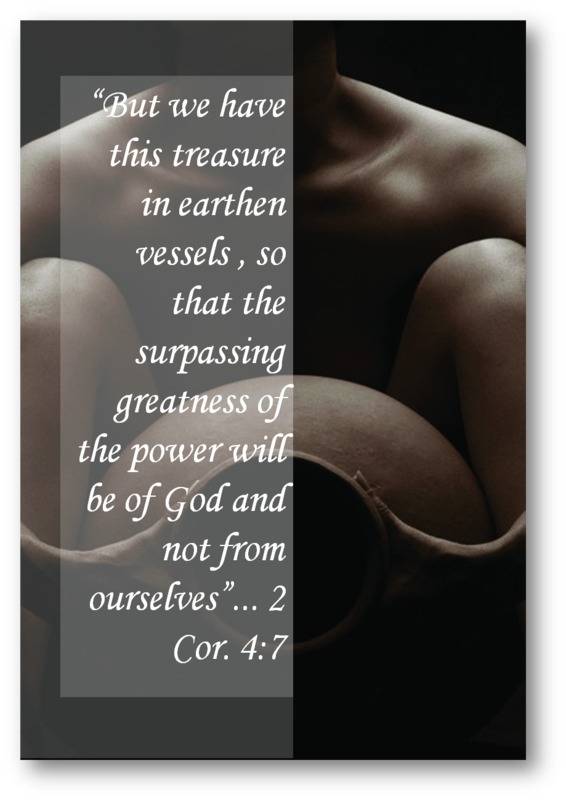 I have spent weeks in amazement with this part of the scripture “treasure in earthen vessels”. What I used to know is that treasures are valuable objects with great worth! They are priceless pieces, everyone wants to find and when found, they would not want to sell. It’s a fortune in our financial-oriented world. If you found a treasure mine, they’d say, you broke into a bank; filthy rich it means. People around you might fall sick of what we call, ‘Gold Fever’. They would die to have, buggle and swindle you to have it to themselves. That’s why we do all to protect our treasures. In those days, such objects are kept in a so called, “Safe, Secure Vault System”. I mean I walked into an Old Bank Facility in San Antonio that have now been converted to a restaurant and guess what the restaurant is called, “The Vault”. I found these three gigantic, solid and bold intimidating structures. That’s what I called, ‘Safe and Secure’. Even in the comfort of our homes, offices and hotels, we are advised to keep our treasures in safe deposit boxes, made with strong solid bars of unmoveable metal material. We are trained to change and use passwords, clearly far away from our date of birth or that of our loved ones. I mean, we keep our treasures in our defined safe, strong, protected and secure locations, be it, in the attic, basement or beneath our bedroom floors and sheets. On the other hand, earthen vessels are weak clay materials that get smashed, cracked and broken. They are most fragile entites that get affected by weather conditions. They have boundaries and can only hold as much as it is moulded. They are ordinary material used everyday with wears and tears, cheap avialable, daily used resources, and flawed by imperfections. They are of no monetary value as they can be easily moulded from relatively cheap materials. These kind of vessels do not sound like a safe and secure place to keep a treasure. So why would the scripture say, we have this treasure in earthen vessels? This contradicts all I have described above, but the scripture did not end there. I do now get the idea. Although the earthen vessel is frail and fragile, there is something that makes this vessel a secure piece. Not of itself, that the vessel should boast that I am beautiful and talented but of the surpassing greatness of the Power of God. We are that earthen vessel, made up clay, fashioned in such fragility to displace the awesomeness of God working through us. Our security, safety and entirety are of God and not of our abilities and make up. God lives in us to give our life a meaning, giving us abundant rest and security and without Him, we are empty, of no security and guaranteed no good use. In the world sense, we have no value, no wonder lives are wasted without cause, but Christ tells us that we are priceless pieces. Our frailties and cracks serve a purpose; to hold, nourish, leak out and bless the lives of others. We are troubled on every side, yet not distressed, perplexed but not in despair, cast down, yet not destroyed (2 Corinthians 4:8). All because we carry the life of Jesus in us therefore, we will not lose heart to perplexity. Although externally, we are frail, we continually get renewed and draw strength from him. He is not carried away by our numbers (Gideon’s Army, Judges 6-7), not moved by astronomy and much knowledge (1 Corinthians 1:22) and not carried away by our size and looks (1 Samuel 17).